Dr. Roger Birkman (1919-2014) was a pioneer in the personality testing industry. The company he founded, Birkman International, is considered a leading architect of modern occupational assessments which maintain evaluation neutrality while emphasizing a person’s strengths. 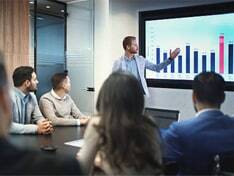 For over 66 years Birkman International has introduced many insights and has refined their tools, while providing organizations such as ours with excellent guidance and education. Terry Hildebrandt and Associates consider Dr. Birkman’s approach to be one of the best at delivering results for our clients. Through the Birkman we can accurately measure various behaviors that will help us to identify the best ways to manage and guide each individual. This will lead to increased productivity behaviors, stress management and reduction, identifying underlying needs and motivations, which will lead to a stronger organization overall. As an organizational psychologist, Dr. Birkman has given society the important gifts of personality testing and organizational assessments. The Birkman legacy lives on through companies like ours, helping numerous individuals and companies realize a more definitive means to evaluate people and guide them to their proper vocations. The Birkman Method® is based on Dr. Roger Birkman’s pioneering research and insights. 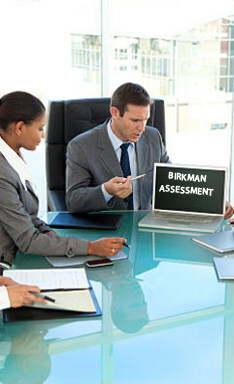 The Birkman Method® has evolved from a personality assessment tool that integrates high-fidelity descriptions and unique problem-solving insights of an individual, to a powerful, tried-and-tested business tool that measures internal needs, motivations, occupational preferences, and strengths. These attributes of The Birkman Method® help to facilitate less stress and achieve higher personal performance and achievement in every individual, team, and organization. The Birkman Method®’s instrument of assessment is through a questionnaire comprised of 298 questions that combines questions about an individual’s behavior and interests. It integrates questions about the concept of self and career interests and motivational factors that would otherwise be asked in several instruments. The Birkman Method® was created using normal working populations of people in a business or industrial setting. The questionnaire itself underwent seven revisions throughout its creation process. Every revision was administered to more than 1,000 subjects from new population groups each time. Thus, the Birkman Method®’s test-retest reliabilities average .78, an indication of an internal consistency of scales. The Birkman Method® has a database of over 2 million responses, which enables it to examine careers that are fit for a large number of occupations. The Birkman Method® questionnaire and resulting reports are administered and accessed over the Internet through its very own online system, BirkmanDirect. This assures the respondents that all Birkman questionnaires and resulting reports are secured and treated as confidential. A Birkman assessment provides an objective way to gain the information necessary to help you face the above-mentioned challenges. 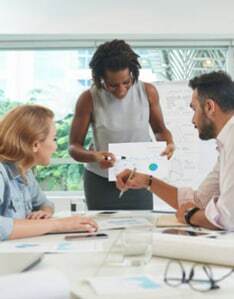 Using assessment tools like the Birkman assessment has become essential to companies and organizations trying to properly place the right people with the right credentials and training into the right positions. The end in mind is to help candidates succeed in order to help their company or organization succeed, too. The use of assessments like the Birkman assessment has also become instrumental in guiding individuals to determine what is the best career choice for them. The Birkman Questionnaire is composed of 250 true/false questions about one’s concept of self and 48 multiple choice questions about career interests and motivational factors or a total of 298 questions. Part II – True/False questions about most people. The second part of the Birkman Questionnaire asks the individual 48 multiple choice questions about job preferences based on a list given. When answering these questions, the assumption is that all the jobs listed have the same amount of compensation and that one’s talent or skills are not an issue. Thus, the Birkman Questionnaire helps you narrow down your occupational preferences, with all things being equal. Individual Coaching: We offer one-on-one coaching to interpret your Birkman profile. Team Workshops: We also offer 4-8 hour workshops for team building using the Birkman Method. Interviewing and Selection Consulting: We offer support to HR and hiring manager who would like to use the Birkman as part of interviewing and selection. New Employee Onboarding: We use the Birkman Method for supporting HR and managers in onboarding new employees.